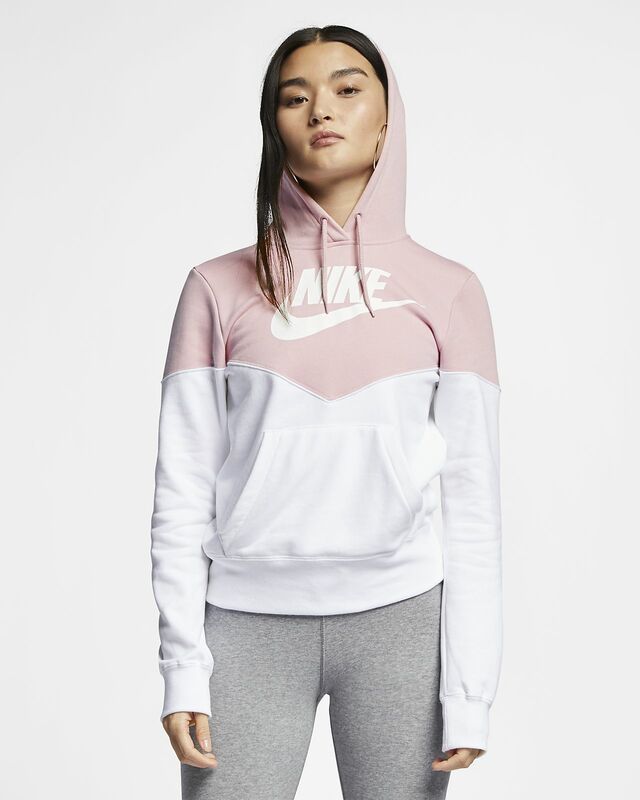 Make it memorable in the Nike Sportswear Heritage Women&apos;s Fleece Hoodie, a timeless look made with soft, semi-brushed fleece fabric. A chevron design and color blocks throw it back to the 1978 Windrunner Jacket, while ribbed details add a classic feel. Lightweight fleece fabric feels soft. A chevron design and color blocks have throwback Windrunner style.